November 14, 2003: with nothing left to prove, Jay Z releases The Black Album, a project billed as his last. Fifteen years on, we reflect on the production throughout the LP, breaking down the sampling, examining the sonic palette and looking at the collaborators Jay chose to score his classic curtain closer. Fifteen years ago, Jay-Z felt he’d said all he had to say. Seven years on from his debut LP, Reasonable Doubt, the era’s most celebrated emcee was on the verge of retirement. He planned to cast himself off with one final effort, The Black Album, a statement piece encapsulating his storied career and articulating his final thoughts. Fate may have had other plans for Shawn Carter, but his eighth studio album still stands as a premature swan song; one that acts as a conclusion to the first wave of his career. More than that, however, it stands as one of Jay’s greatest efforts. The Brooklyn-born rapper, then 34-years-old, had arguably reached the peak of his talents: his mastery of varying flows was matched by his biting lyricism, which he put to use recounting his origins (“December 4th”), recalling police stops (“99 Problems”), revelling in his status (“Dirt Off Your Shoulder”) and courting violence (“Threats”). The album also showcased his curatorial talents: Jay makes the most of his collaborators through an exceptional selection of beats, identifying the strongest contributions from each of his offsiders. 9th Wonder, who produced “Threat,” played Jay twenty-nine beats on the Saturday they first met, only for the emcee to pitch him an entirely new idea: an instrumental based on a track he’d long wanted to sample. Production was handled by a roster of Jay’s closest collaborators including Just Blaze, Timbaland, Kanye West and The Neptunes, as well as new creative partners like Rick Rubin, DJ Quik and 9th Wonder. 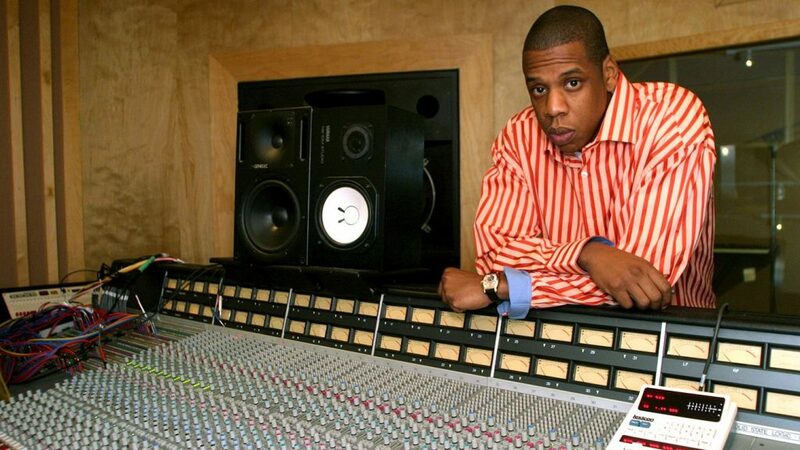 Each producer brought their own distinct style to Jay’s overarching vision: there’s no mistaking Pharrell and Chad Hugo’s work on “Change Clothes” with Kanye’s take on “Lucifer” or Rubin’s flair throughout “99 Problems.” Though the production roster was large, and the anticipation undoubtedly massive, 9th Wonder claims the entire project – beats, bars and all – was completed in a single month. 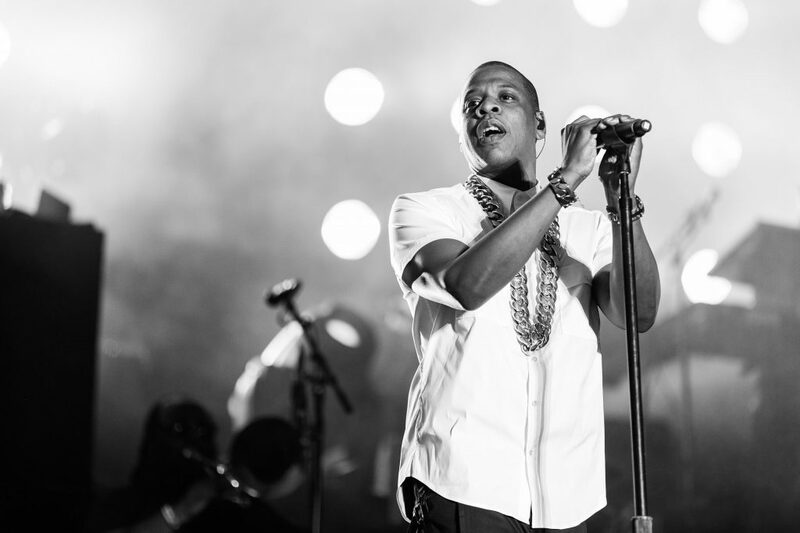 A decade and a half later, Jay-Z is an unstoppable pop culture icon. He’s run an ultra-successful record label, embarked on one of the most successful live tours of all time – alongside his wife, no less – bankrolled film projects, engaged in high-profile activism and entrepreneurship, and released one of the most acclaimed albums of his career… 21 years after his debut LP. The Black Album wasn’t the summation it was built up to be, but were it Jay’s final outing, it would have been a worthy end to a singular career. In honour of the album’s 15th anniversary, we’re breaking down the producers, the samples, the patterns, and the legacy of epochal LP from one of hip-hop’s greatest icons! Just Blaze is one of Jay’s closest collaborators, a producer whose contributions formed the backbone of the Roc-A-Fella sound at the start of the 21st century. 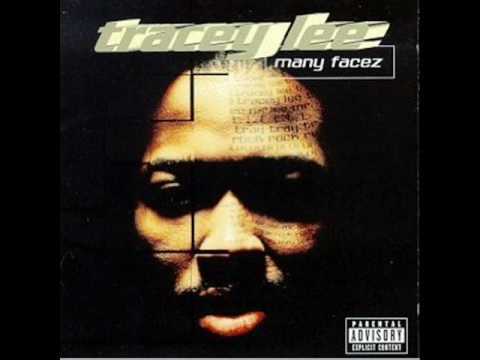 He made too many contributions to reasonably list, so here’s a condensed version: after debuting on Beanie Sigel’s The Truth, he produced Amil’s “That’s Right” before cutting 5 tracks on Jay’s The Dynasty: Roc La Familia, 4 on Bleek’s The Understanding, 6 on Sigel’s The Reason, four apiece on State Property’s debut and Cam’ron’s Come Home With Me and three on the Paid In Full OST. He closed out 2002 with an impressive 7 credits on The Blueprint 2 – the most of any producer on the record – kickstarting 2003 with 2 credits on The Diplomats’ Diplomatic Immunity and 10 more on Freeway’s debut. Even as The Black Album was nearing completion, Blaze was working on Bleek’s third studio album: when it released in December, Blaze had 7 production credits. The Buchanans, who produced “What More Can I Say,” were amongst the most novice beatmakers on the album: the Philly-soul sampling jam was their first ever production credit, a sizeable debut for two hip hop enamoured, self-taught producers. The Neptunes are a production duo comprised of Pharrell Williams and Chad Hugo, both better known as members of early-2000s hip hop trio N.E.R.D.. The Neptunes honed their sound, one of the era’s most recognisable and influential, across a wide range of projects, most famously contributing to work by Clipse, Snoop Dogg, Kelis, ODB and Justin Timberlake. Kanye West is a man who needs no introduction, but in 2003, that wasn’t the case. In the years before his debut, Ye was a respected producer but a far cry from the unavoidable pop culture behemoth he’d soon become. Since debuting on the Roc with Beanie Sigel’s “The Truth” in 2000, he’d produced a swathe of cuts out of the hip hop powerhouse, including selections from State Property, Cam’ron, Freeway and Diplomatic Immunity as well a number of Jay’s own LPs: The Dynasty: Roc La Familia (“This Can’t Be Life”), The Blueprint (“Takeover,” “Izzo (H.O.V.A. ),” “Heart of the City (Ain’t No Love),” “Never Change”) and The Blueprint 2 (“A Dream,” “’03 Bonnie & Clyde,” “Poppin’ Tags,” “Some People Hate”). Their relationship strengthened over the next half-decade, with Timbo cutting 4 tracks on Vol. 3… Life & Times Of Shawn Carter (“Big Pimpin’,” “Come & Get Me,” “It’s Hot (Some Like It Hot),” “Snoopy Track”), 1 on The Blueprint (“Hola’ Hovito”) and 3 on The Blueprint 2 (“2 Many Hoes,” “The Bounce,” “What They Gonna Do”). It all led to what he must have believed was his final Jay credit: “Dirt Off Your Shoulder,” boasting one of his most infectious instrumentals. 9th Wonder came to prominence for his work as a member of North Carolina hip hop outfit Little Brother, whose first album – 2003’s The Listening – brought him to the attention of the Roc-A-Fella crew. “Threat,” his contribution to The Black Album, remains his only collaboration with Jay, though he later worked with Roc stablemate Memphis Bleek. Eminem was a titan in 2003, having just released a swathe of his most acclaimed works, including 1999’s The Slim Shady LP, 2000’s The Marshall Mathers LP and 2002’s The Eminem Show. Jay and Em first linked up on “Renegade,” a standout cut from Jay’s The Blueprint that featured both bars and production from the Detroit emcee. The title of the song has since become a hip hop term for the hijacking of a track by a guest artist, used to denote cases where a featured act has outshone their contemporary. Despite also receiving a writing credit, Em doesn’t rap on his Black Album contribution, “Moment of Clarity.” Whilst almost all of his prior production credits were on either Shady-affiliated songs or tracks that featured Eminem as a performer, he’d made similar decks-only contributions to albums by Jay rival Nas and the then-deceased Tupac. Rick Rubin – what to say? A true hip hop original, Rubin burst onto the scene in 1983, when he co-founded Def Jam records out of his NYU dorm alongside Russell Simmons. He had a hand in some of the era’s most significant hip hop albums, producing The Beastie Boys’ Licensed to Ill, LL Cool J’s Radio and Run-DMC’s Raising Hell. “99 Problems” marks the only time that Jay and Rubin have collaborated, which makes their rapport one of Jay’s most successful: the track has since become one of his most revered and memorable singles, with the titular refrain – though originally penned by Ice-T ten years prior – becoming irrevocably tied to Jay. DJ Quik is one of the West Coast’s most under-discussed legends. The producer-emcee wrote, produced and performed the bulk of his largely acclaimed catalogue which, at the time of The Black Album, included his Platinum-selling debut, Quik is the Name, his three subsequent Gold-accredited LPs, Way 2 Fonky, Safe + Sound and Rhythm-al-ism, and his acclaimed fifth and sixth efforts, Balance & Options and Under tha Influence. “Justify My Thug,” his Black Album inclusion, remains his one and only collaboration with Jay. Finally, we have Nicholas ‘Aqua’ McCarrell, who produced album closer “My 1st Song.” Whilst the title itself was a reference to an ever-hustling attitude, the instrumental was actually Aqua’s first to be featured on any album. Producing for Jay is enough to make a producer a hot commodity, but underwriting the final track on his victory lap LP is a truly career-making feature. Though he’s only dabbled in hip hop production work since, Aqua has since produced for acts such as Beanie Sigel, Wale and Rich Boy. Frequent Jay collaborator Just Blaze opens The Black Album with an understated and curiously-titled track. 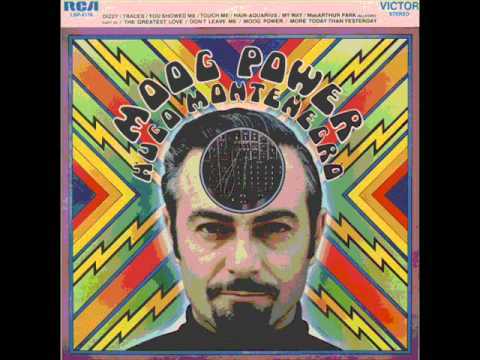 The first sample we hear is taken from Hugo Montenegro’s “Dizzy,” a 1969 track that prominently features the Moog synthesizer. That synth can be heard panning across the fade in as Jay opens what he claimed was his final album. 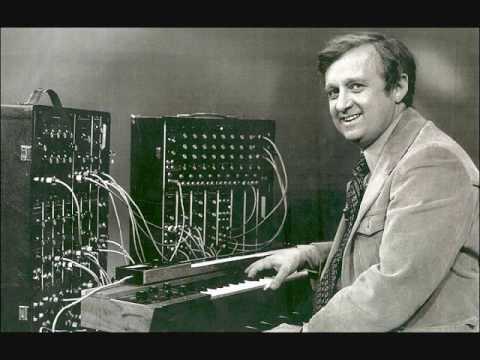 The original track was featured on the composer’s abstract foray into then-newfangled synth technology, Moog Power, on which it was the only original. Blaze follows it with a second, more subtle sample of a Moog synth: this time, it’s the handiwork of Gershon Kingsley, a synth pioneer who founded the First Moog Quartet. “Rebirth” was included as the final track on that outfit’s self-titled debut, released in 1970, and has since been sampled just a handful of times by artists such as Pete Rock, Quasimoto and J Dilla. 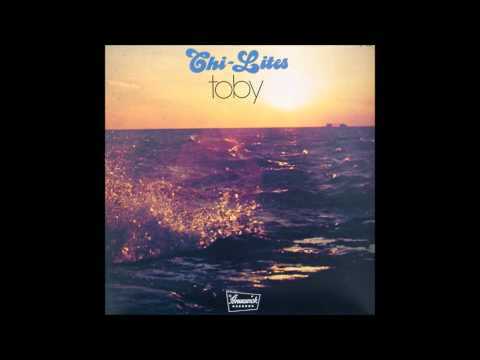 That melodramatic fragment can be heard at 0:59 on the Chi-Lite’s original. Jay himself incorporates a blink-and-you’ll-miss-it interpolation of legendary West Coast hip hop group, Cypress Hill. 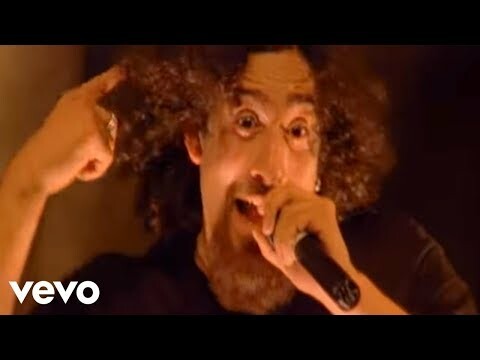 The legendary Latino American group, noted for their unabashed love of weed, released “Insane in the Brain” as the lead single off 1993’s Black Sunday, their enduring sophomore record. Are you not entertained? 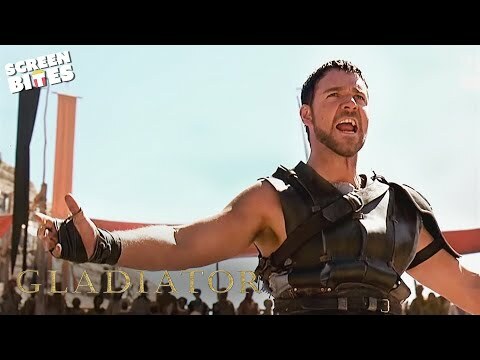 Are you not entertained? The quote is a fitting one, as it’s delivered after the titular Gladiator has vanquished all his enemies, leaving him as the last one standing. In opening with it, Jay seems to be asking for his dues: though he’s dominated the rap game and shown prowess unrivalled, he feels that he’s yet to receive the respect he deserves. Like “December 4th” before it, “What More Can I Say” is underwritten by a stunning orchestral sample. This time, it’s taken from MFSB’s “Something for Nothing,” a 1973 cut co-written by legendary songwriter and producer Kenneth Gamble. 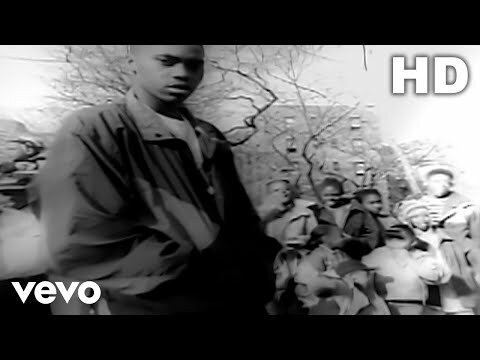 You might recognise the sample from Tracey Lee’s ‘97 Biggie collaboration, “Keep Your Hands High,” which Jay goes on to explicitly reference. 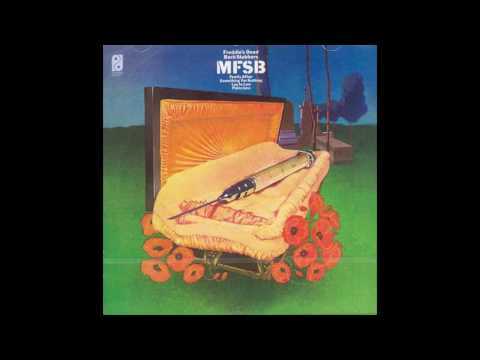 MFSB was the in-house band for Philadelphia International Records, comprising of more than 30 session musicians. 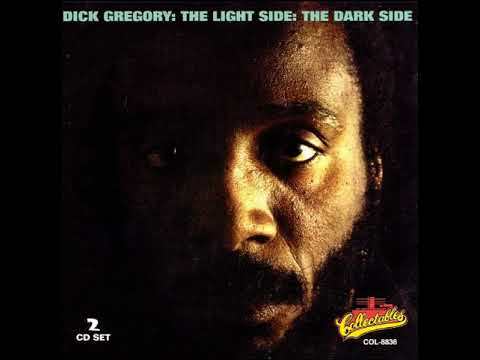 This loose collective originated Philadelphia soul whilst playing on records by artists such as The Delfonics and Teddy Pendergrass, and members from the group went on to other oft-sampled projects, such as John Davis and the Monster Orchestra and Dexter Wansel. Jay’s interpolation is part-tribute, part-taunt: in the bars immediately preceding, he addresses accusations that he relies too heavily on interpolations of other artists’ work. After The Black Album was released, Cam’ron compiled an exhaustive supercut of Jay’s lyrical references in order to criticise his love of the practice. Jay swaps out Nas’ “suede timbs,” a NYC staple, for his own line of Reebok footwear. Interestingly, the blink-and-you’ll-miss-it interpolation appeared a full two years before the pair’s venomous beef was formally ended at the New Jersey leg of Jay’s 2005 I Declare War tour. 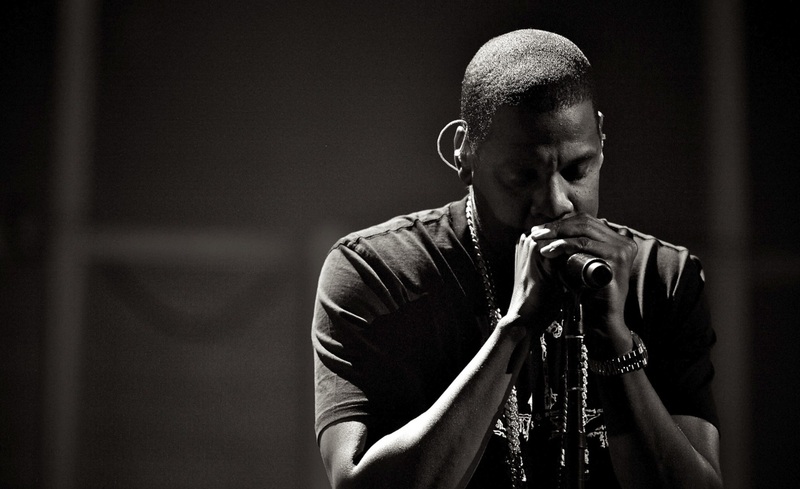 “Takeover” – Jay’s response to Nas’ famous “Ether” – had dropped just two years prior. In the last few months of his blissful obscurity, Kanye West produced the beat for “Encore.” The track is built upon a pitched-down sample of the opening trumpet from John Holt’s “I Will,” a reggae cover of the Lennon-McCartney penned White Album tune. Holt’s cover was included on 1976’s 2000 Volts of Holt, and this remains his most notable sample. Coincidentally, producer Danger Mouse would later mix raps from The Black Album with instrumentals from The White Album to create The Grey Album, a famous unlicensed remix mixtape. Kanye’s debut, The College Dropout, was originally slated for an August 2003 release. A catastrophic leak led to its delay: first to November 2003, placing it alongside The Black Album, then to January and finally February of 2004. This would be one of the last two beats he produced for Jay before his own career exploded. 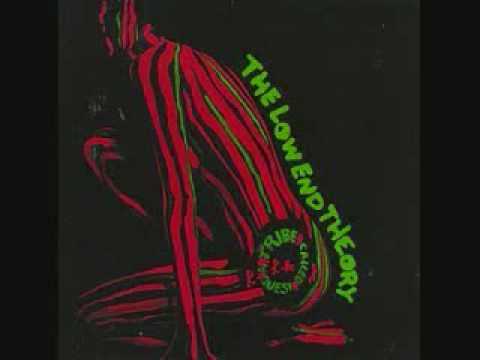 The distinctive cadence of the phrase “I’m leaving,” delivered at 2:52, is a reference to A Tribe Called Quest. It interpolates a bar from “Rap Promoter,” a track included on their 1991 masterpiece The Low End Theory. This isn’t the first time Jay’s interpolated Tribe: he opened ‘96’s “22 Two’s” with a clear reference to “Can I Kick It?,” their most famous hit. 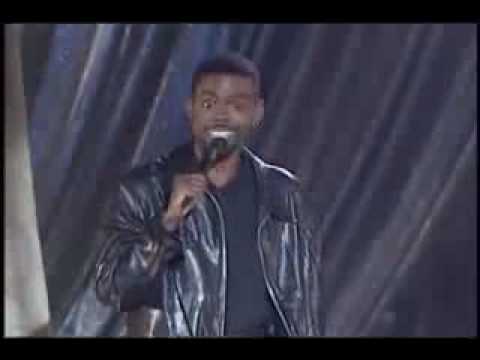 Chris Rock – Black People Vs Niggaz. “Threat” boasts one of the album’s more intricate beats, assembled by producer 9th Wonder. It takes four separate elements of R Kelly’s “A Woman’s Threats,” turning them into the melodic, looping beat over which Jay rhymes. 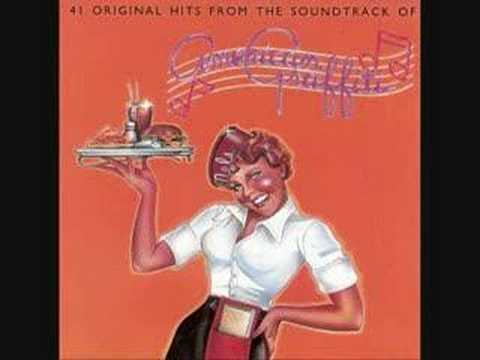 The sampled elements are time-stamped: 0:30, 1:39 and 1:28. 9th Wonder recalls playing 29 beats for Jay, who was a fan of his work in Little Brother. 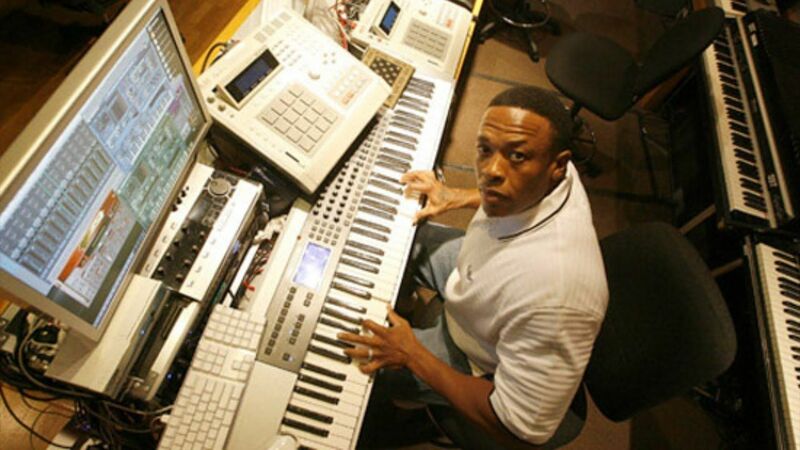 He didn’t run with any of those beats, instead asking the producer if he could do anything with a sample of Kelly’s “A Woman’s Threats.” 9th Wonder says he flipped the chop-heavy sample in just 20 minutes, far less than the already-demanding 45-minutes allotted by Jay. The song, like pretty much everything R Kelly-related, has aged poorly. 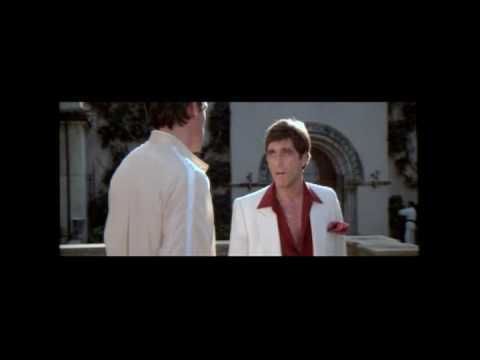 Though strictly speaking an interpolation of just five words, Jay makes a quick reference to Scarface, Brian De Palma’s legendary gangster film. It’s held in high esteem in hip hop culture: like many mafioso and similarly decadent criminals, the character and film have tallied dozens of tributes. Geto Boys member Scarface is named for the film, and Nas’ “The World Is Yours” takes the titular proclamation from the film’s distorted view of the American dream. Funnily enough, rapper Scarface released a compilation of unreleased material just months prior to The Black Album – it was named for this very quote. It was written by Ice-T, the trapper-turned-rapper-turned-actor, and included on his own “99 Problems,” a track included on 1993’s Home Invasion. 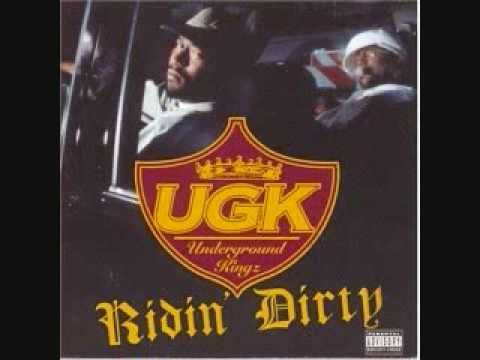 The song features 2 Live Crew affiliate Brother Marquis, and though it was Ice who originally wrote the bar, it’s become almost totally synonymous with Jay himself. “99 Problems” represents Jay’s first and, to date, only collaboration with legendary Def Jam co-founder and hip hop pioneer Rick Rubin. 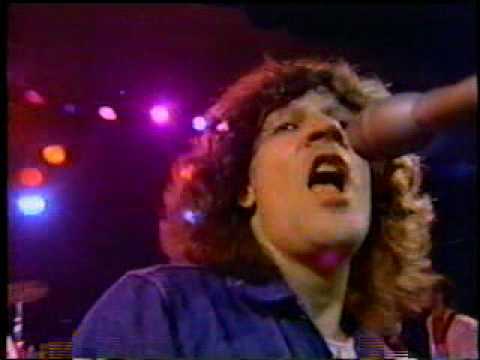 Rubin takes an assuredly old-school approach to the composition, leaning on Billy Squier’s “The Big Beat” to provide the earth-shattering bass that runs throughout. Squier’s bombastic rock hit has been sampled more than 280 times, popularity it at least partially owes to its inclusion on the pivotal Ultimate Breaks and Beats compilation series. Rubin’s only used it once before, on his 1991 remix of Queen’s “We Will Rock You.” On “99 Problems,” the noted producer takes two elements of the track: the fade-in feedback that opens it (0:06) and the first ‘big beat’ (0:12) and overlays them atop each other. He does the same with two other percussion samples, which helps give the beat its enormity: we’re looking at those next. Chances are if you’re curious enough to have read to this point, you’d recognise the vocals from at least a handful of the 600 songs on which they’ve been sampled. Rubin eschews this sample for a more uncommon flip. 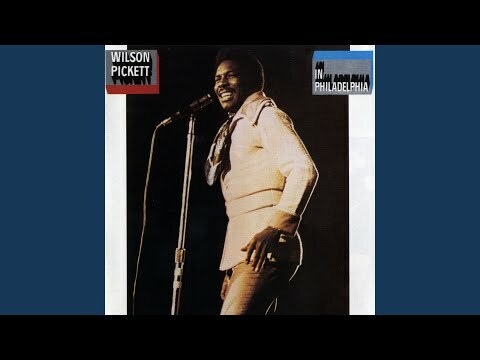 Next up is soul singer Wilson Pickett, whose frequently sampled 1970 joint “Get Me Back On Time, Engine #9” makes an appearance. There are three key elements sampled across the four-second fragment: first comes the guitar hit, which can be heard at 5:14 in the original. It’s followed by the clear cowbell fill, which runs through the sampled bar, bookended by Pickett’s scream – “now!” – at 5:18. Rubin loops this through the track, adding yet another layer to the already-dense composition. Jay’s not lying: Rick really is crazy for this one. The simple piano and wailing organ which underwrite “Public Service Announcement (Interlude)” are sourced from “Seed of Love,” an infrequently-sampled 1968 cut by Chicago-based garage rock band, The Little Boy Blues. 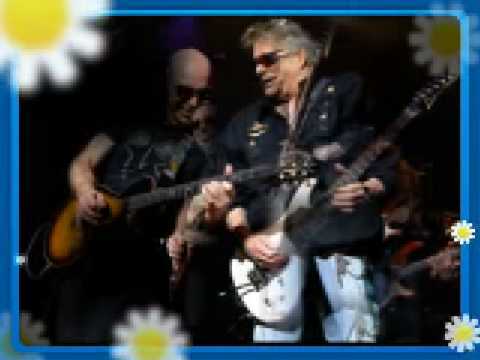 The short-lived outfit have been classified as ‘proto-punk’, though by the time they released their debut album, In the Woodland of Weir, only a single founding member remained. 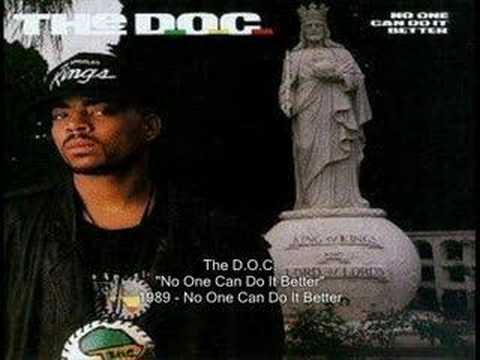 This one is both an interpolation and a direct sample, as the original soundbite plays underneath Jay’s vocal as he articulates a point worth repeating: “nobody does it better.” It’s taken from the track of the same name by The D.O.C., a noted N.W.A affiliate who is perhaps most famous for his writing efforts alongside that gangsta rap posse. Related Sauce: The Complete Visual History of Frank Ocean's "Blonde"
The D.O.C. released just a single album before his vocal cords were seriously damaged in a car accident, and though he kept on rapping, his altered delivery proved far less successful than his original vocal. The compelling synthesizer line that runs throughout “Justify My Thug” is the work of Funkadelic, the spacey funk outfit helmed by P-Funk originator and true pioneer George Clinton. 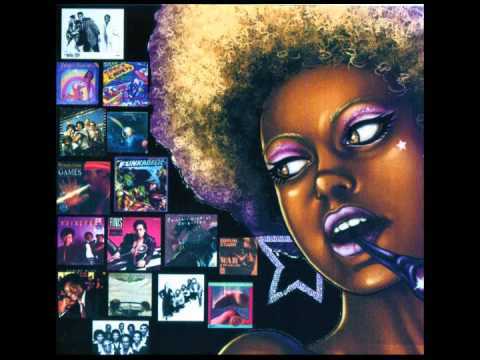 “The Witch” was included on Connections & Disconnections, the 1970 LP that also contained “You’ll Like It Too,” one of Funkadelic’s most sampled cuts. “Justify My Thug” is listed as the sole sample of this particular song. Producer DJ Quik, a West Coast legend respected for his work both behind the decks and on the mic, slows the sample for a more tempered, hypnotic loop. Furthermore, Jay reportedly threw some absolutely crazy Roc-A-Fella parties in the Hamptons back in the late ‘90s. The titular refrain isn’t directly sampled, though it’s a clear interpolation of a chorus from a 1990 Madonna tune, “Justify My Love.” That single was first included on 1990’s The Immaculate Collection, one of just two original tracks issued on the greatest hits compilation. The sexually provocative music video courted controversy, something Madonna had particular success with throughout the early ‘90s. Regardless, it hit #1 on the Billboard 100, becoming her ninth chart-topper. Jay didn’t actually get the legendary popstar to sing his altered lyrics, instead tapping little-known session musician Sharlotte Gibson, who does a fine imitation of Madonna’s voice on the sultry hook. The vocal sample that punctuates Gibsons’ hook – “for you!” – is lifted from a hip hop song released a whole 19 years prior. 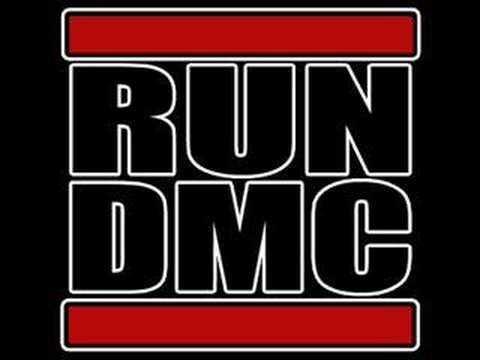 “Rock Box” was included on Run-DMC’s self-titled debut, the entirety of which was produced by Larry Smith and Russell Simmons. On his second and final production credit on the record, Kanye racks up a mean accomplishment: an intro shoutout from Jay. The track then launches into the titular hook, a pitched-up sample of reggae artist Max Romeo’s 1976 single, “Chase the Devil,” one of his biggest and most enduring hits. “Star of the morning,” the title referred to in the sampled hook, can be found at Isaiah 14:12. Before his fall from grace, Lucifer was known as the ‘Morning Star,’ a name that reflected his esteemed place amongst the angels. 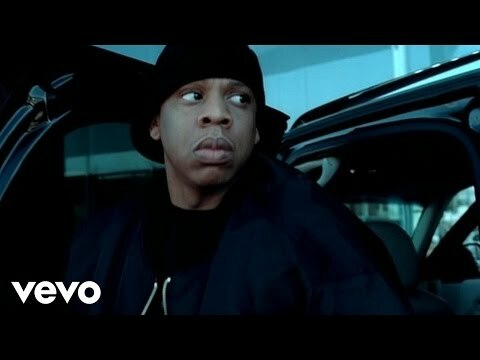 Kanye’s flip of the sample is in keeping with the era in which it was made: he would soon go on to popularise so-called ‘chipmunk soul,’ a genre founded on the pitched-up sampling techniques he favoured in the early 2000s. Biggie died just weeks before the track was released on his tragically prescient sophomore effort, Life After Death. Jay seems to be keeping the spirit of that album alive with the continued respect he sends via these references and interpolations. The sampled track, “Tu Y Tu Mirar… Yo Y Mi Cancion,” translates to “You and Your Look, Me and My Song,” and was originally featured on the group’s 1969 debut, Porque Te Quiero. That record marked the only release that featured all five of the ‘classic’ members, with three leaving the very same year. 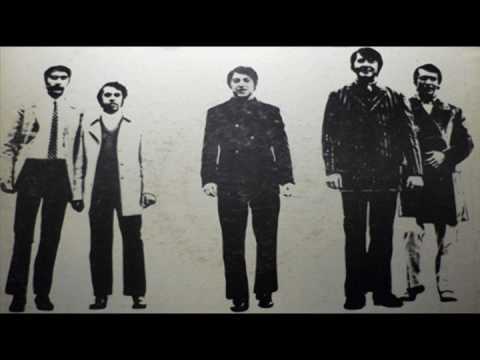 Mildly popular in hip hop, the group have also been sampled by artists such as RZA and the Beastie Boys. Once billed as Jay’s final song, “My 1st Song” is so named for the advice sampled in the opening. 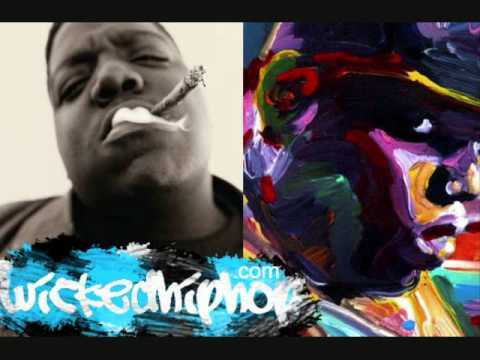 The Notorious B.I.G.’s advice – “–treat everything like it’s your first project…” – was sourced by producer Nicholas ‘Aqua’ McCarrell, who used his clearance as an NYC-based MTV News intern to rip unreleased interview footage. Originally, he took the footage to impress his friends, but came back to it whilst producing the eventual “My 1st Song” beat in his parents’ basement. Thinking that “the intro could use a little something,” he laced it with Biggie’s sage advice. It was strangely prophetic: after his demo tape gained buzz on his return to L.A., he was contacted by Roc-A-Fella. “My 1st Song” was slated as Jay’s last, but it was Aqua’s first-ever production credit. One of the most notable stylistic tenets of The Black Album is the sense of accomplishment it exudes. 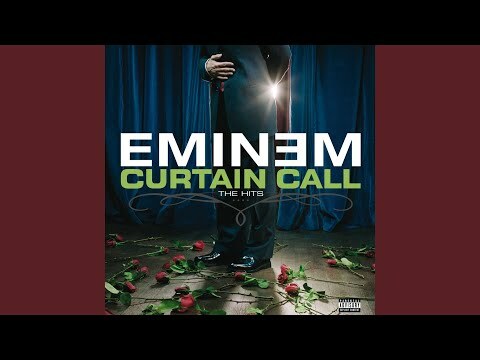 The opening is a particularly strong example of this: the samples on “December 4th,” “What More Can I Say” and “Encore” are all lofty and bombastic, their recontextualised elements perfectly complementing Jay’s tales of perseverance and his reflections on success, fame and the achievements that brought him both. This sound is largely sourced from the 1970s: unsurprising, given Jay’s penchant for ‘black excellence.’ The ‘70s brought forth some of the most inspired and revered African-American projects of all time: at Motown, for instance, the loss of key songwriting team Holland-Dozier-Holland led to a greater acceptance of singer-songwriter roles, a move which accommodated Marvin Gaye’s What’s Going On and Let’s Get It On, as well as Stevie Wonders’ Talking Book and Innervisions. Whilst Jay favours samples from lesser-known acts on The Black Album, the artists are almost always associated with mainstream success, whether it’s via the label for which they sessioned or the acts for which they wrote. The sampling on the record also helps contextualise Jay’s prolific use of interpolations. Of the 14 we’ve discussed above, 10 – or 71% – are sourced from the ‘90s. Just 2 of the remaining four are taken from non-hip hop sources, with “Justify My Thug” featuring a Bill Haley allusion and “Public Service Announcement” adapting elements of a 1969 oration. Interestingly, despite his frequent use of ‘70s samples, Jay fails to incorporate any lyrics or melodies from this decade. His fealty to hip hop is exhibited through his interpolations: some sly, some all too recognisable. Jay’s continued reference to the acts and art of yesteryear is quietly radical, especially in a genre that’s largely disinterested in preserving and mythologizing its history. Whilst the rock and roll and pop genres are awash with catalogue-expanding reissues and anniversary remasters, even the most critically lauded hip hop albums rarely receive the same treatment. As his career has continued beyond The Black Album, Jay has worked to cultivate relevance beyond hip hop’s infatuation with youth culture, passing down sage advice and reflecting on the trials of adulthood and familial commitment. It’s no surprise, then, that he lionizes and celebrates the work that distantly informed the current ‘wave,’ whatever that may be. Now, well over a decade since Jay returned to the scene with 2006’s Kingdom Come, what are we to make of his ‘closing statement’? The Black Album is a uniquely mythological entry in Jay’s canon. It casts a gaze across his then-considerable achievements with optimistic finality, the last hurrah of a legend leaving in his prime. It’s unsurprising that Hov returned just three years later: the then-thirty three year old emcee was operating at hip hop’s highest level. It’s not hard to picture Jay, enjoying serene retirement somewhere tropical, silently writing rhymes and instinctively collating bars in his head. That’s just the kind of artist The Black Album puts forward: versatile, prolific and natural. The quality of the record is such that, no matter when Jay retires, The Black Album will still stand as a testament to his overarching vision. Though he’s done much work further realizing his entrepreneurial aspirations in the years since, the story of Jay – the ascension from Marcy to the upper echelons of society via commanding lyrical skills, an openly collaborative attitude and a savvy business acumen – has remained the same. Nonetheless, each new year brings more admirable endeavours from the man himself, an exemplar of what hip hop can enable. If Jay’s next retirement is sealed with an album as hard as this one, hip hop has a classic left in it yet. Hey! I’m Conor, a Melbourne-based hip hop fan and unabashed Kanye stan. My work explores records by way of the samples within, contextualizing the tracks and sounds that have helped shape hip hop for decades. I love bringing new, unique and engaging content to fans who share my interest in the inner workings of artistry. Beyond my passion for music, I’m a screenwriter, though I’m sure I won’t feel like I’ve made it until I work with Janelle Monáe. She’s so great. Support content that you can be proud of. The Stans are taking back music journalism.